Traveling to and landing at Amsterdam Airport. Check out this painless and affordable guide to getting from Amsterdam Airport Schipol to Rotterdam. 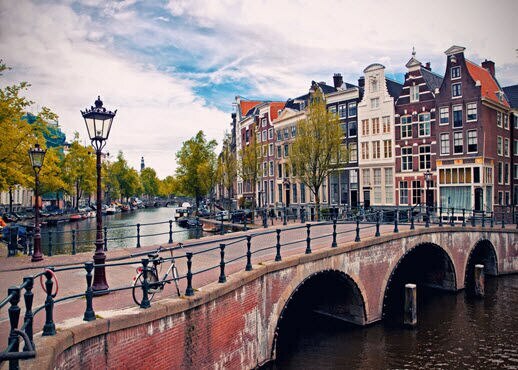 If you’re not sure where to stay in Amsterdam, use this guide to the city’s neighborhoods to help you choose the right Amsterdam hotel for your city break. Holidays in the Netherlands are always surprising. This north-western European nation packs it in with diverse cities, world-class art and picturesque towns. Its windmill-dotted landscapes are cycle friendly, while windswept coastlines and colorful flowers make the great outdoors a real treat. Book your Netherlands hotel to see the country for yourself.